Samsung officially announced the Notebook 9 (2018) and new Notebook 7 Spin 2018 series of Windows-powered laptops at CES. Samsung has now officially announced the pricing and availability details for its new notebooks in the U.S. The new series laptops will be available for purchase starting from February 18 at official Samsung Website. 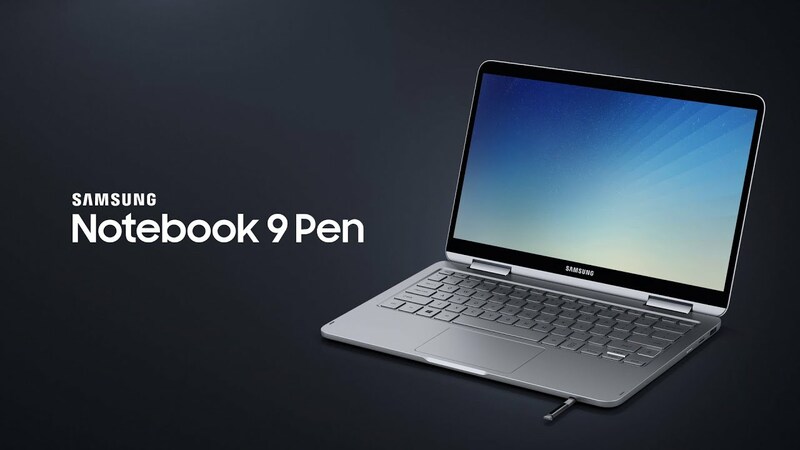 The Samsung Notebook 9 Pen 2018 comes with features a 2-in-1 360-degree convertible laptop with a 13-inch FHD (1920×1080 pixels) LED Display . It comes with Intel’s 8th Generation Core i7 processor with Intel UHD Graphics 620, 8GB RAM, 256GB storage and fingerprint sensor built-in and also has support for Windows Hello, while the Notebook 9 Pen also features an IR front-facing camera for facial recognition login through Windows Hello with up to 16GB of RAM and 512GB SSD storage support. It sports an embedded S-Pen to take advantage of Windows 10’s inking features and built with all metal finish . It borrows many pen tricks from the Galaxy Note 9 line-up. It will be available on Samsung.com and Amazon.com as well at a starting price in US AT $1,399.99 for the base configuration with 8th Gen Intel Core i7 and 8GB RAM 256GB of storage. 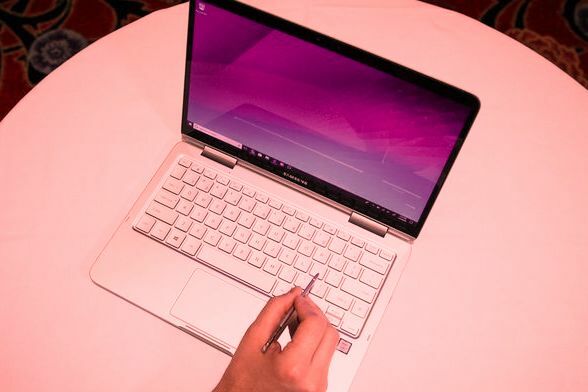 The Samsung Notebook 9 (2018) is a traditional clamshell laptop available in both 13.3-inch and 15-inch screen sizes. It sports Intel’s 8th Generation Core processors with Intel UHD Graphics 620 and up to 16GB of RAM and 1TB SSD storage. The 15-inch model adds with 8th Gen Intel Core i7 +NVIDIA GeForce MX150 (GDDR5 2GB) graphics card to the mix and new features fingerprint sensor built-in and also has support for Windows Hello. Pricing of Notebook 9 (2018) 13-inches price starts at $1,199.99 and $1,299.99 and 15-inch models $1,499.99 price respectively. Both of laptops available on Samsung and Amazon official. 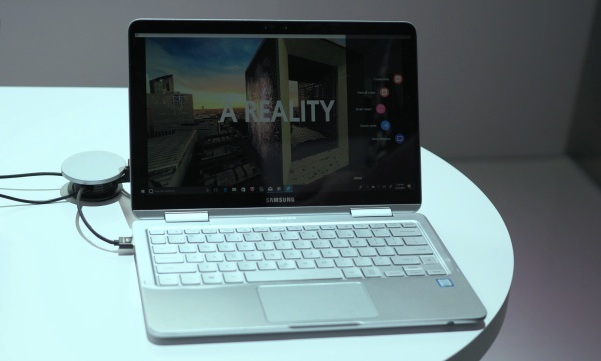 Samsung also announced the Notebook 7 Spin (2018) with 2-in-1 Windows 360-degree convertible laptop with support for Active Pen (sold separately) and powered by 8th Gen Intel Core i5 processor with Intel UHD Graphics 620, 8GB RAM, 256GB storage and fingerprint sensor built-in and also has support for Windows Hello priced at $899.99 in U.S.
It’s a cheap Samsung 2in1 laptops best buy alternative to the Samsung Notebook 9 Pen with a starting price of $899.99. It will be available for purchase at Best Buy (online and in stores) and on Samsung official US. All these laptops comes with 8th Generation Intel Core processors with Intel UHD Graphics 620, 8GB RAM, 256GB storage and fingerprint sensor built-in and also has support for Windows Hello will be available for purchase starting February 18 in the U.S from Amazon , Best Buy and Samsung Offcial in US.